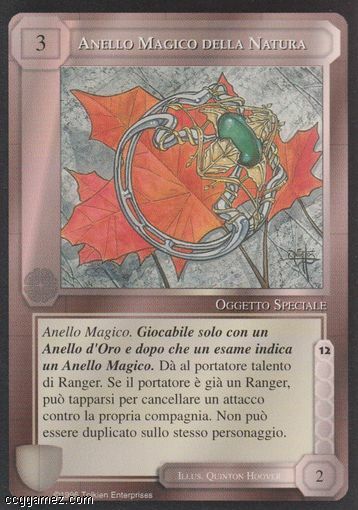 Tekst Magic Ring. Playable only with a Gold Ring and after a test indicates a Magic Ring. Gives the bearer ranger skill. If the bearer is already a ranger, he may tap to cancel an attack against his company. May not be duplicated on a given character.